This 3BR 2.5BA garden duplex with an additional large den/study area is thoughtfully laid out and perfect for entertaining. Like a traditional home the bedrooms are upstairs with the living/dining, open kitchen and half bath downstairs. The open kitchen boasts top of the line over sized stainless steel appliances with a washer and dryer included. 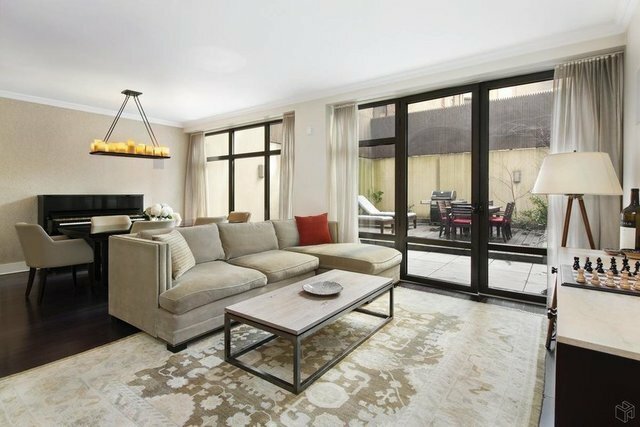 The living room boasts a wall of floor to ceiling windows which open onto your own private south facing planted garden (approx.767sf) which makes for a secluded retreat from city life. No detail has been overlooked; 9+ft ceilings, bamboo hardwood floors, central heat and air, working gas fireplace, private cedar-lined storage unit, and state of the art video intercom security that can be accessed from your mobile device. Nestled between Riverside and Central Park, this beautiful residential neighborhood is full of restaurants, shops, and supermarkets.